What authorities describe as a “relatively minor” and “benign” incident at an Australian McDonald’s apparently led to an explosion. A man has been taken into police custody after an alleged period of harassment eventually led him to plant a bomb in a family’s car. That news comes courtesy of The Guardian, reporting on the charges against 33-year-old Ryan Sharp. 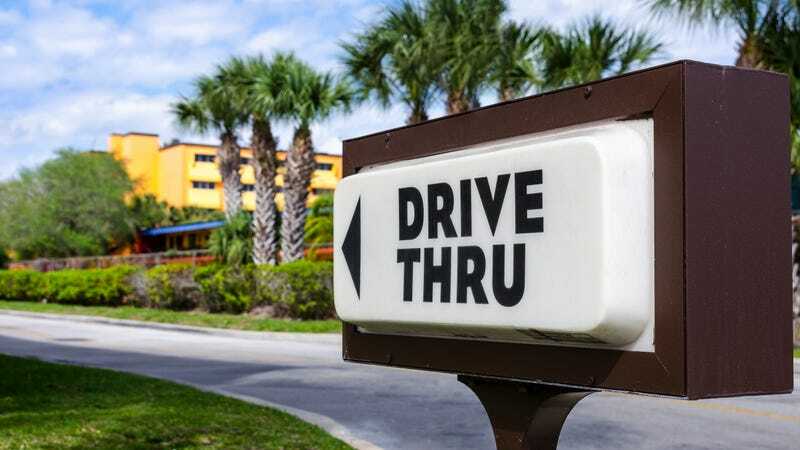 On February 22, Sharp’s partner, a 31-year-old woman, was in the drive-thru of a 24-hour McDonald’s when another car honked at her. (Sharp was not present.) That incident allegedly led to what the Guardian calls “a prolonged campaign of stalking and harassment,” which reached its peak when Sharp detonated an explosive device authorities describe as “sophisticated.” No one was in the car at the time, and no injuries were reported. His partner was also arrested and charged with being an accessory after the fact as well as stalking or intimidating. This is the latest instance of what seem like totally normal interactions at drive-thrus and fast-food places going bonkers, a category that includes these assholes who yelled racial slurs at a woman before driving her out of her car and driving it into a telephone pole; this guy and his initiative; this coupon-lover; this creative thinker; and this instance of packet-related rage. Just be cool out there, people. Take a deep breath.